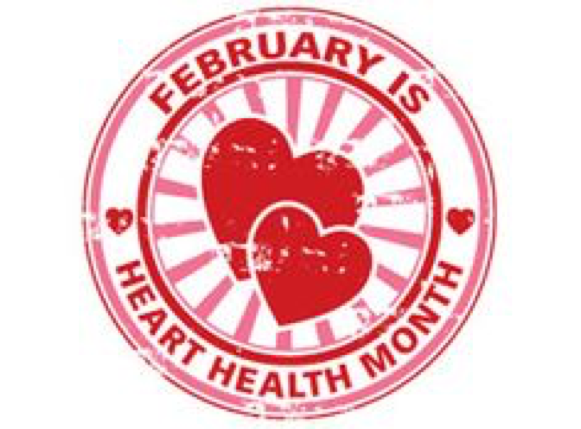 It’s National Heart Health Month! Did you know that oral health can be directly linked to heart health? Delta Dental has recently provided evidence that gum disease in both moderate and advanced stages puts you at a greater risk for developing heart disease than you be with healthy gums. Regular oral screenings can also help point doctors to a variety of other diseases that may start with warning signs in your mouth. How Does Your Oral Health Connect to Your Heart? Every system in your body is connected. Just like consuming food through your mouth makes its way to your stomach, any bacteria or germs that start off in your mouth can fairly easily be spread throughout the rest of your body through your blood stream.Mayo Clinic and theAmerican Heart Association have been able to show that this bacteria can actually attach itself to any already damaged areas when it gets to your heart. The attached bacteria can then lead to further inflammation, which has been linked to clogged arteries and even strokes. People who suffer from chronic gum diseases like gingivitis or advanced periodontitis are at the highest risk for developing heart disease as a direct cause of poor oral health and dental hygiene. It is important to know that plaque buildup from skipping just one brushing or flossing session a week can easily add up to create issues with your gums. Keeping up with your regular cleanings and examinations here at Belvedere Family Dentistry & Orthodontics is extremely important in protecting yourself against harmful bacteria and diseases. Call our front desk today at 704-927-5499 to schedule your next appointment with us! If you have any concerns surrounding your oral health, and gum diseases especially, be sure to talk to one of our dentist and explain all of your symptoms. Read this article by Tracey Sandilands, published for Colgate, to learn more about how your heart and mouth are related and what you should do to prevent disease from growing. Reduce your risk of periodontal disease and cavities: Bad bacteria contribute to plaque and tartar on teeth, making them more susceptible to cavities. Bacteria build-up can also lead to inflammation of gum tissue (gingivitis). If left untreated, gingivitis can lead to periodontal disease, which means a more expensive dental visit (plus other unwanted consequences!). Speaking of avoiding an expensive dental visit, when was the last time you came in to see us? Come see us now if it’s been awhile, by calling in at 704-927-5499. Prevent heart disease? While the debate is still up in the air, some studies suggest there could be a correlation between gum disease and heart disease. In general, make sure to rinse your tongue scraper before and after use. Apply the tongue scraper to the back of your tongue and drag it forward. Then, rinse and repeat. Make sure to get the sides of your tongue as well, not just the center! Make sure not to press too hard or you can cause yourself to bleed. And, if you’re wondering if you should scrape your tongue while recovering from a dental procedure, that’s a good question … ask your dentist for the best advice particular to your situation. Still not sure how this thing really works? The next time you’re in ask Dr. Bansch for a quick tutorial! Tongue scrapers are relatively inexpensive, and can be found at any local drugstore. It doesn’t matter the material, color, or brand – just find the one you like and get scraping! Oral hygiene/dental hygiene means the overall maintenance of the mouth, gums and teeth. It includes daily maintenance at home as well as regular dental checkups and professional teeth-cleaning treatments. Just as it is important for you to brush and floss your teeth regularly, it is equally important that you get professional cleanings done from your dentist/dental hygienist. This is the best way of keeping your natural teeth for years to come. Sitting around the table with family and friends while eating a plate of delicious, traditional Thanksgiving food is something the we look forward to all year long. Unfortunately, some of those foods are extremely harmful to your teeth. Swap out a few of the worst Thanksgiving foods and your teeth will be thankful. A general dentist provides a basic amount of restorative and preventative treatments to a patient’s teeth. These procedures can repair damage caused by decay, prevent infections and other issues that can cause bone atrophy, or prevent issues. A pediatric dentist is trained in the care of children’s oral health. They typically treat children who are infants through the teenage years. Children normally begin to get teeth when they are six months old. Between the ages of six and seven, many children begin to lose their first set of teeth and grow in a second set that is permanent. Many people do take great care of their teeth and gums at home. Regular brushing and flossing are the only ways to prevent cavities, plaque, and gum disease. But everyone needs to see the dentist at least twice per year. A general dentist can clean your teeth professionally and check for signs of gum disease that you can’t detect on your own.